Is urinary incontinence adversely affecting your quality of life? 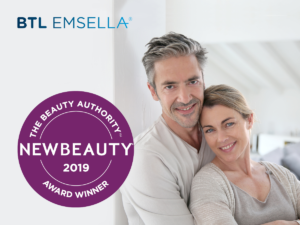 Emsella might be the answer! Urinary incontinence is a condition that can be inconvenient and embarrassing, making you withdraw from social interactions and leaving you feeling alone. If you are feeling like you’re the only one struggling with issues related to urinary incontinence, rest assured that you’re not alone. In fact, urinary incontinence is extremely common, especially among women – of the nearly 25 million Americans that suffer from the condition, women make up almost 80 percent of that number. Many women may not be aware of how much of an impact urinary incontinence is having on their quality of life, and often see it as something they just have to learn to “live with.” While it’s true that incontinence can be a normal side effect of aging, it does not have to be inevitable or permanently affect your life. Emsella harnesses high-intensity focused electromagnetic energy (HIFEM), using it to induce supramaximal (or forced) muscle contractions in your pelvic floor. Emsella therapy focuses on your entire pelvic floor at one time, stimulating the deep muscles equally, rehabilitating weakened pelvic muscles and restoring neuromuscular control to that area. During your Emsella session, 11,000 contractions are activated – that’s equivalent to 11,000 Kegel exercises in under 30 minutes!